Orgeat (pronounced "or-zat") syrup is a non-alcoholic almond-flavored syrup that is commonly used in tiki and classic cocktails, most notably in the Mai Tai. The creamy and opalescent syrup is typically made out of blanched almonds, water, sugar, and rose or orange flower water. Originally, it was made from a barley-almond blend. This connects to its origins in Latin, where the term orgeat translates as "made with barley". Once it was discovered that the almonds allowed the syrup to soak up more flavor, the barley was dropped. Although orgeat syrup is unique, you can replace it with almond syrup as its closest substitute. Brandy Daisy - The classic Brandy Daisy goes all the way back to the late 1800's. It uses ingredients like yellow chartreuse, brandy or cognac, and lemon juice, and is best served on the rocks. German Vacation - A mix of tropical Jagermeister, rum, lemon juice, and syrup is served in this delicious snowcone-style drink that feels like a getaway. Japanese Cocktail - Using a simple cocktail shaker, mix cognac, orgeat, and Angostura bitters to create a perfectly chilled cocktail. Garnish with a lemon peel for a clean finish. Lady Liberty - For a modern cocktail with a classic twist, mix this tiki combination with light rum, orgeat, maraschino liqueur, Green Chartreuse, lime juice, and a bit of absinthe. You'll be sure to feel its New York roots with this drink. 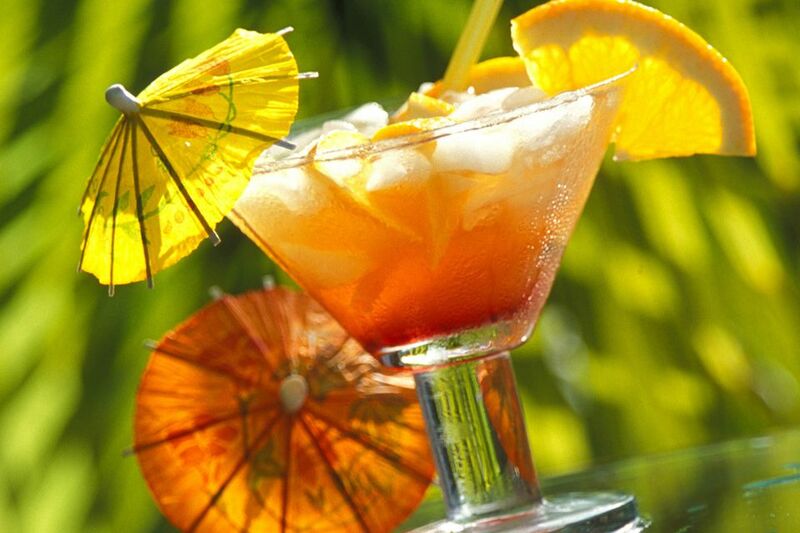 Mai Tai - This Polynesian-style beverage uses rum, Curacao liquor, orgeat syrup, and lime juice. Garnish with lime or pineapple in a highball glass over ice. Many diverse cultures use a version of orgeat syrup—the Italians drink orzata, the Greeks consume soumadha, and those in Tunisia and Libya celebrate weddings and engagement parties with a chilled rozata. In fact, the rozata is a symbol of happiness, joy, and purity due to its white color and fresh floral flavor. Many of these varied versions come in several flavors like traditional almond, banana, mango, and pistachio. Unsurprisingly, the Venetian beverage, horchata, is similar and made from ground almonds, sesame seeds, rice, barley, and tigernuts or melon seeds. Orgeat syrup has also been used as a rich sweetener in non-alcoholic drinks like lemonade and fruit punch. Even recipes for pie fillings, milkshakes, and coffee mix well with orgeat syrup. If you're feeling creative, you can make orgeat syrup yourself at home. This is a perfect way to control how much sugar and flavor is going into your cocktail. Use a food processor or blender to get started, and make sure you have a cheesecloth-lined strainer and jar to complete the process. Simply gather ingredients like raw sliced almonds, water, cane sugar, vodka, and orange blossom water. Orange blossom water can be found in a small bottle in grocery and liquor stores. It is often used in French and Middle Eastern cuisine and offers many uses for cosmetic perfume, medicinal purposes, and the culinary world. Should You Really Be Drinking that Bottled Margarita?